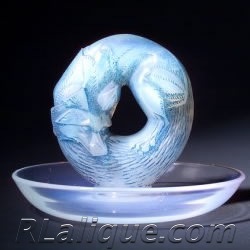 Sellers of R.Lalique- If you have an R.Lalique item that you see listed in one of our Wanted Subsections, and you're interested in discussing a sale, contact us at info@RLalique.com with the details (price, description, condition, quality, location) and photos of your item. Sellers pay a 12% commission on the sale price only if a sale is completed. See the How It Works Page for complete terms and conditions. 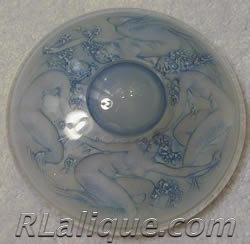 Buyers of R.Lalique- There is currently no listing fee to list an R.Lalique item you are looking for. 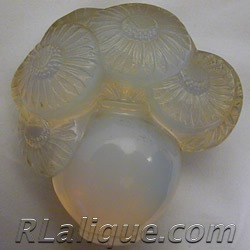 Along with the R.Lalique item, we'll also list any details such as the minimum condition and price range that are important to you. 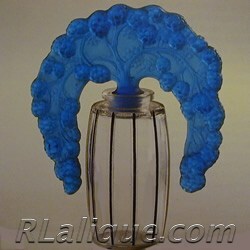 Contact us at info@RLalique.com with your R.Lalique wanted items and details, or to get any questions answered. See the How It Works Page for complete terms and conditions. There is no obligation on the part of either party until or unless an agreement is reached. 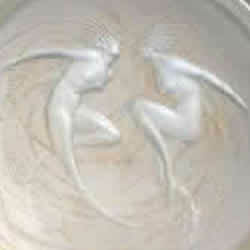 Sellers and buyers of R.Lalique interact only with us and not with the other party to the transaction. This ensures a safe and secure transaction for both parties as well as complete confidentiality. More details are listed at the bottom of this page. 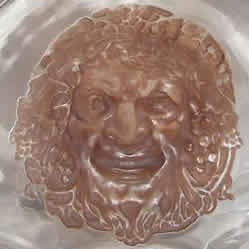 Satisfied Wants -You can view many of the Wants that serious collectors have found through this Wanted Section. Buyers - You list your wanted item at our introductory no charge. 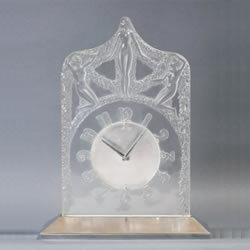 Along with the item name, you can also provide specific details about your requirements on condition, quality, and price. If we hear from a seller that is interested in selling the item you are looking for, we'll contact you with a photo, price and additional information. 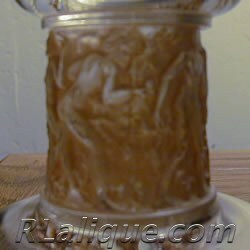 All contact is through info@RLalique.com. If a price is negotiated and an agreement reached, the Seller will ship the item to us after both parties have accepted an email Sales Agreement concerning the sale. Upon receipt of the item, we will confirm the information you already received is correct, or make appropriate corrections or additions. Assuming all is well, you will pay for the item by wire to us. We will forward the item to you after receipt of payment. Shipping costs to you are in addition to any negotiated price on the item. Your purchase is covered under our satisfaction assurance (shown below). If you approve the item, then we will forward the purchase price (less commissions) to the Seller. If you do not approve the item, the Satisfaction Assurance contains all the information about how things will proceed from your point of view. Sellers - You email us with photos and details (price, description, condition, quality, location) of your item that matches a Wanted ad in this section. Photos must meet, and are subject to the Photo Submissions Guidelines. We contact the potential buyer and attempt to make a sale on your behalf. There likely will be some back and forth questions and answers, all of which will go thru us and be via email. If an agreement is reached, we email both parties a Sales Agreement and after receiving acceptances from both parties, you send us the item. All incoming items are governed by the Standard Terms of Items Shipped To Us. 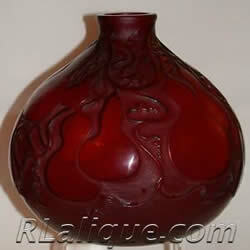 Once we approve the item upon receipt, we communicate any new information to the Buyer for acceptance (you said the vase was green, but it's red, so we have to tell the Buyer :), and we receive payment from the Buyer, we ship the item to the Buyer. If any new information causes the Buyer to withdraw from the transaction, we ship the item back to you, at your expense. After the Buyer receives the item, they have the right of return as stated in our Satisfaction Assurance policy. 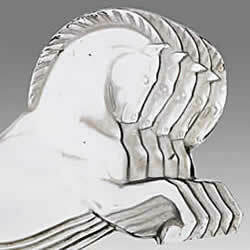 If the Buyer accepts the item, we forward payment to you, less any commission owed. If the Buyer opts to return the item under the Satisfaction Assurance, than the Satisfaction Assurance spells out how things proceed until we get the item back. If we get the item back and refund the Buyer's payment, then we return the item to you. A few final notes. We reserve the right to reject any Wanted Ad, to cancel any Wanted Ad at any time, or to reject any offer of sale. Finally, the Details above are a summary of some of the important terms of both the Wanted Agreement and the Sales Agreement. Any conflict between the summary and the Wanted Agreement or Sales Agreement is resolved in favor of the specific Agreement, which takes precedence over the summary. If for any reason or no reason, you are unhappy with your purchase when you receive it, you can notify us the day it arrives via email, that you are returning it. You send it back to us the next day (except if you get it on Saturday, you would ship on Monday), shipped the same method we shipped to you, and when it arrives back to us in the same condition we sent it to you, we will issue a full refund less our shipping cost to you, and any bank fees we incur in processing your payment and refund. The caveats: If you do not notify us the day it arrives (a day later will not do), if you do not ship the next day by the same way we shipped to you (a few days later will not do), or if it does not arrive back to us in the same condition we sent it to you (you dropped it while unpacking will not do!!! ), then there is no refund. This satisfaction assurance allows you, as the buyer, to evaluate the item and not rely on any assurances or statements anyone makes concerning the item. The satisfaction assurance is in lieu of all others, and it allows you to decide to just return the item for no reason at all, so long as you do it under the terms of the assurance as spelled out. So you don’t have to rely on what we tell you, you don’t have to hope it looks as good at your house as it does in the photos. You can just send it back because you changed your mind, so long as you follow the terms of the satisfaction assurance.